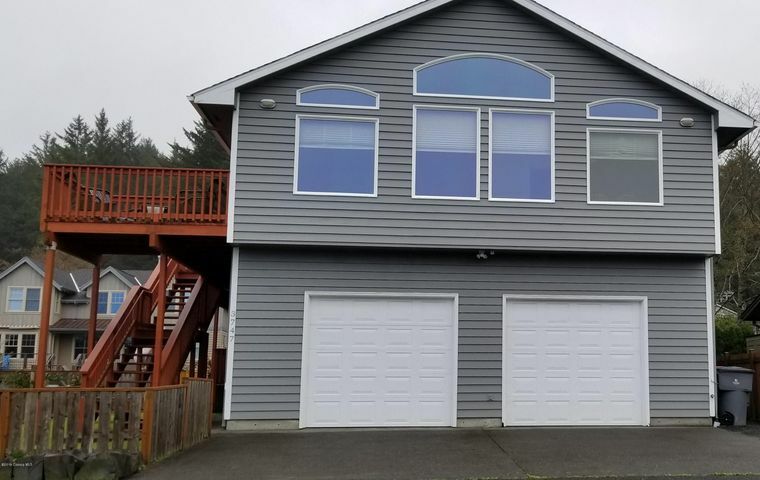 Charming Cannon Beach home with many upgrades and peeks of the waves and ocean through the trees. Four bedrooms, three bathrooms, gas fireplace, wonderful large kitchen with attached family room. Cook while you enjoy your company! Family room downstairs and game room in the oversized garage. Amazing space surrounded by well tended fenced yard. Call for an amenities list.